All three sizes are on sale again, this time with no expiration date explicitly listed, although it obviously won't always be spring. It's probably a good idea to hurry and choose from 7, 8, and 10-inch Fire Kids Editions. Apart from screen sizes, resolution also differentiates the three models, as the smallest of the bunch settles for a sub-par 1024 x 600 display, bumped up to an HD pixel count (1280 x 800) for the 8-incher and Full HD numbers (1920 x 1200) as far as the 10.1-inch variant is concerned. In terms of discounts, the Fire 7 and HD 8 Kids Editions are currently sharing a $30 reduction that translates into 30 and 23 percent off the two's list prices respectively. 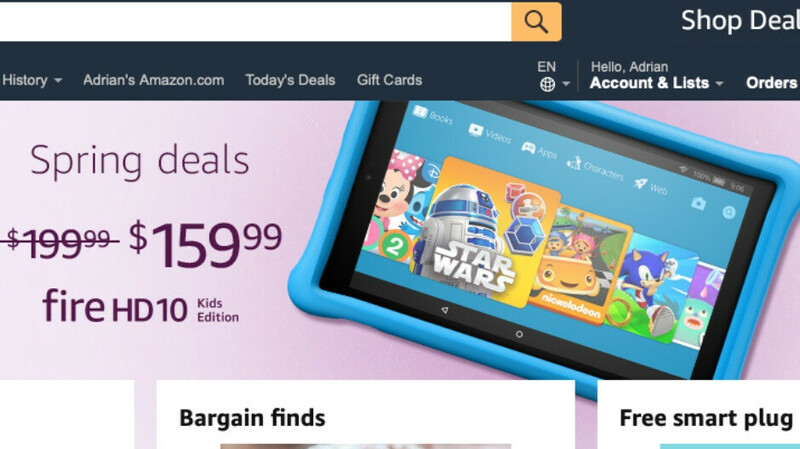 Meanwhile, the Amazon Fire HD 10 Kids Edition is available as part of this undoubtedly limited spring sale at $40 less than usual, or 20 percent off. It's hard to compare these three devices with similar products from other brands, as Amazon is essentially unrivaled in both the ultra-budget and children-oriented tablet market segments. That makes these deals that much more enticing, whether you're thinking of purchasing one of the incredibly affordable slates for a toddler (to use under close supervision) or a tween. In addition to respectable spec sheets, the Fire 7, HD 8, and HD 10 Kids Editions have colorful "kid-proof" cases included, as well as 2-year "worry-free" guarantees (with free returns and replacements, no questions asked), and complimentary 1-year Amazon FreeTime Unlimited subscriptions for full access to a massive library of fun, educational content from high-profile Amazon partners like Disney, Nickelodeon, and PBS.